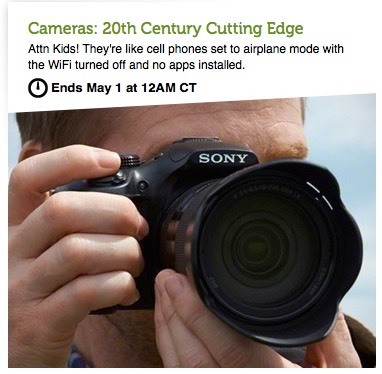 Someone at Woot has a sense of humor and also gets what I’ve been saying about the camera industry for quite some time now. The only thing they missed is that these cameras cost significantly less than cell phone now (e.g. Woot has a Nikon D3200 with lens for US$375). Hmm, maybe that supply/demand pricing curve I learned in MBA School actually works in real life.